I have heard so many rave reviews of this book. I have overheard people talking about it, the internet went mad over it, Liberty told me it was awesome – the list goes on. Compared to The Curious Incident Of The Dog In The Night-Time, I can’t imagine so many people can be wrong so I really want to get my hands on a copy and find out what all the fuss is about. 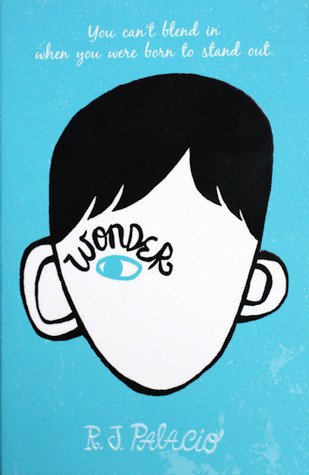 I must confess to not being a massive fan of the cover for the simple reason that I spent quite a long time thinking the book was called ‘Wonder Eye’ or possible ‘Wonder, I’ because the positioning of the writing gave me the impression that I was supposed to ‘read’ the rest of the face. Turns out I was just thinking about it too hard. Previous Post Pretty Please? #7 – Shooooes!